This is one of the best boxed sets that I own. Of course, it’s not a complete collection of rarities. Such a thing does not exist, the Lizzy catalogue is so labyrinthine with EP’s, singles, and Phil’s solo projects. It takes a scholar just to keep it all straight. This set however does include a very generous slice of rarities, including one rare exclusive. It also includes pretty much every Lizzy hit and album cut you could want. Everything from my own obscure favourites (“Hollywood”, “The Sun Goes Down”) to the biggest hits (“Jailbreak”, “The Boys are Back in Town”) are on here. The set is divided into four discs, each one reflecting a phase of Thin Lizzy. From the Eric Bell power trio years (was “power trio” even a phrase back then?) to the final Phil single “Nineteen” (famously covered by Bad 4 Good), there is no era of the band overlooked. The liner notes are also excellent, with lots of photos and text, and detailed credits. The rarities and B-sides are pure gold. It’s also important to remember that in Lizzy’s day, non-album singles were the norm. Many of those singles are crucial tracks. “Randolph’s Tango”, with its intricate flamenco solo, is one. The storming “Little Darling” is another necessity. I love the reggae of “Half Caste”. How hard it must have been being Phil Lynott growing up. “The boy ain’t black, the boy is brown,” goes the painful lyric. “Sitamoia” (written by Brian Downey) is a ferocious tornado as only Lizzy could do. “Sugar Blues” is a live jam blast, featuring the underrated Snowy White doing what he does best: the blues. 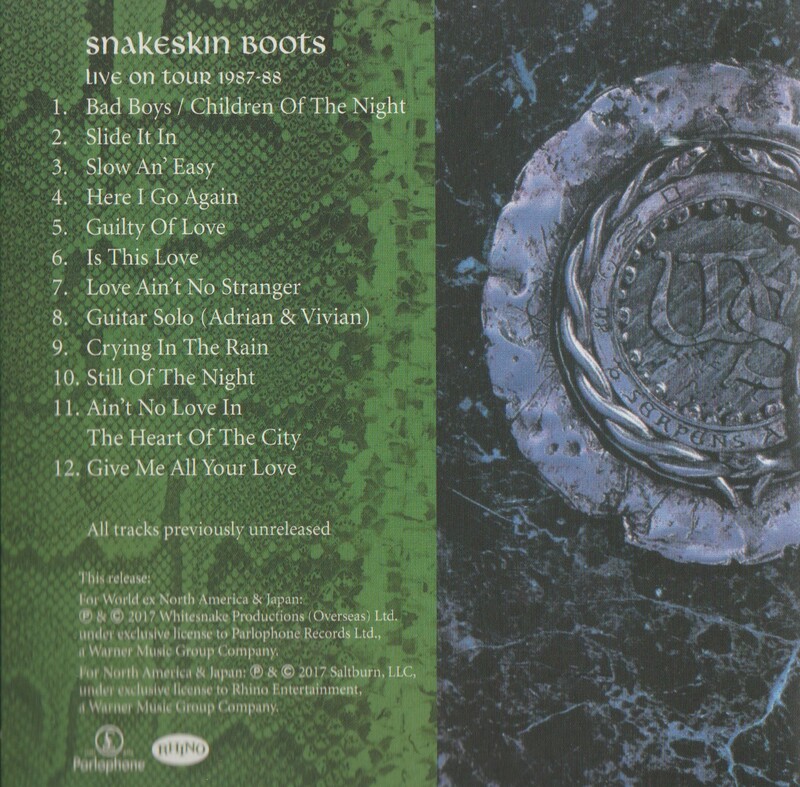 Most of the B-sides and rare tracks have since been released on the various Thin Lizzy deluxe editions. Not necessarily in these versions though. One track you won’t find on a deluxe edition is “Song For Jimi”, originally from a magazine flexi-disc. This track features a reunited original Thin Lizzy with Eric Bell, recording in 1981! With complete honesty, there isn’t one single track I would have changed on this set. I think of all my favourites (Lizzy, solo, and otherwise) and check to see if they’re on here. “Johnny the Fox Meets Jimmy the Weed”? Check. “Massacre”? Check. “The Rocker”? Check. “King’s Call”? Check. “Fool’s Gold”? Check. “Romeo And The Lonely Girl”? Check. “Dancing In The Moonlight”? Check. In fact the only thing I can think of that’s missing is the posthumous “Dedication”, but it’s arguable that it doesn’t belong, since it has a sort of early 90’s sound and was finished by Gorham and Downey on their own. I wish Thin Lizzy became as big a name as some of their contemporaries, such as Zeppelin, Aerosmith, or Purple. They certainly had the musical chops, they had a multitude of influences and variety of sounds (all Lizzy though), and of course they had the unequaled lyrical talents of Phil Lynott. A poet like Lynott will never come again. Let’s celebrate his life, even though it’s too late for him to celebrate with us. I love this album, it was actually the first Lizzy studio album I bought, on vinyl, from Tom’s store way back in the late 1990’s. I’ve always loved John Sykes from his work in Whitesnake and Blue Murder. Thunder and Lightning is the final Lizzy studio album. It’s definitely the most metal, but it’s not the best sounding one (gimme Black Rose for that honour). It just strikes that chord inside. You know how certain albums just click with you and you don’t know why? That’s Thunder and Lightning for me, but I think it reminds me of that general vibe of heavy metal music in 1983. There are times it reminds me of Judas Priest. This is the only album from the Lynott/Gorham/Downey/Wharton/Sykes lineup. It is produced by Chris Tsangarides (Anvil, Judas Priest). Wharton and Sykes both scored songwriting credits, which may be why this album sounds so much more “metal”. Wharton’s keys are not obtrusive. Best track: Gorham and Lynott’s “Bad Habits”. If there was one track that sounded like old Lizzy circa Johnny The Fox, it’s “Bad Habits”. It’s just a rock and roller of a song with killer lyrics. Phil’s voice is noticeably a lot more raw, worn, but he works within his limitations as always. His voice remains as expressive as ever. In “Bad Habits” he sounds like he’s jonesing as bad as the title implies. “Cold Sweat” is the one that Sykes co-wrote, and it is very metal, featuring his trademark guitar squeals and yet more great lyrics from Lynott. “I got a whole month’s wages, I haven’t seen that much in ages, I might spend it in stages, and move out to Las Vegas.” Love it. Sung by Lynott, those lines tell a whole story. Really, there’s not a bad song on this album. “This Is The One” has some relentless pounding drums courtesy of Brian Downey (one of the true greats). “The Sun Goes Down” is a slower one with a keyboard solo, very atmospheric. It reminds me of the similarly titled “Night Comes Down” by Judas Priest. “Holy War” is another relentless pounder with a message to be heard. Not a bad track to be found. If I had any complaints it would probably be the mix/production which at times comes across as a bit too bombastic and 80’s. I mean, it’s still Thin Lizzy, one of the classiest sounding bands ever. Thunder and Lightning is pretty evolved in sound from a classic like Jailbreak, and that may or may not be to your taste. 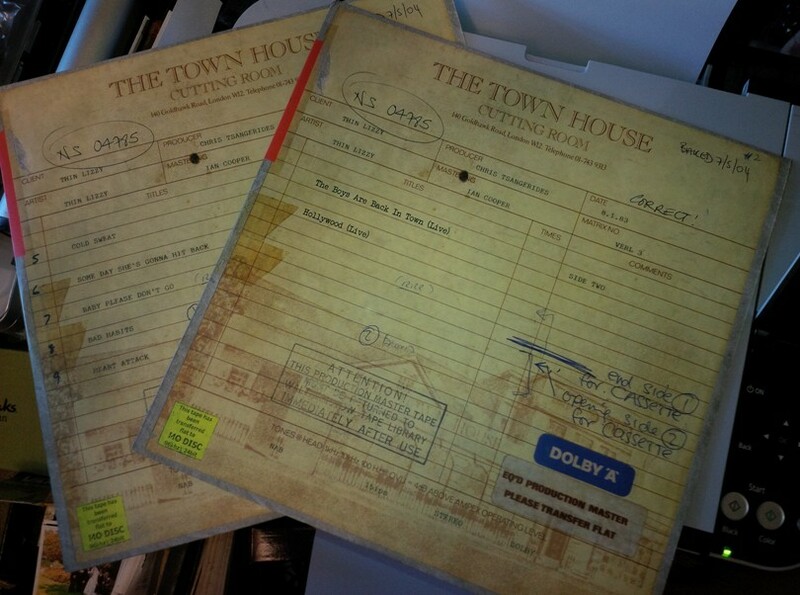 Some vinyl and cassette versions of Thunder and Lightning came with four bonus live tracks. 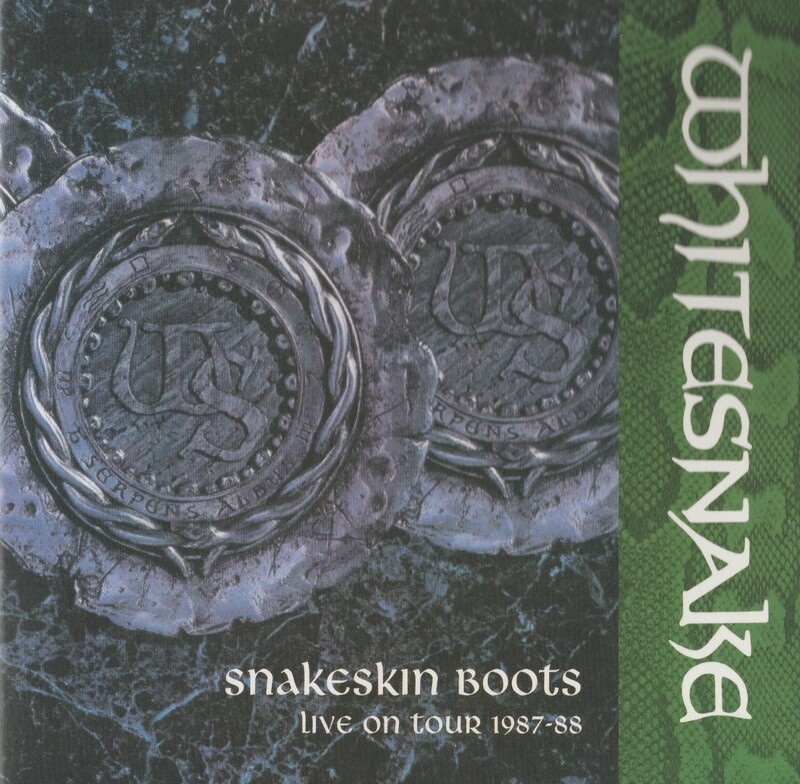 They are actually from the Renegade tour and feature Snowy White on guitar instead of his replacement John Sykes. Thankfully, the current Back on Black 180 gram vinyl release restores the rare 12″ bonus EP. 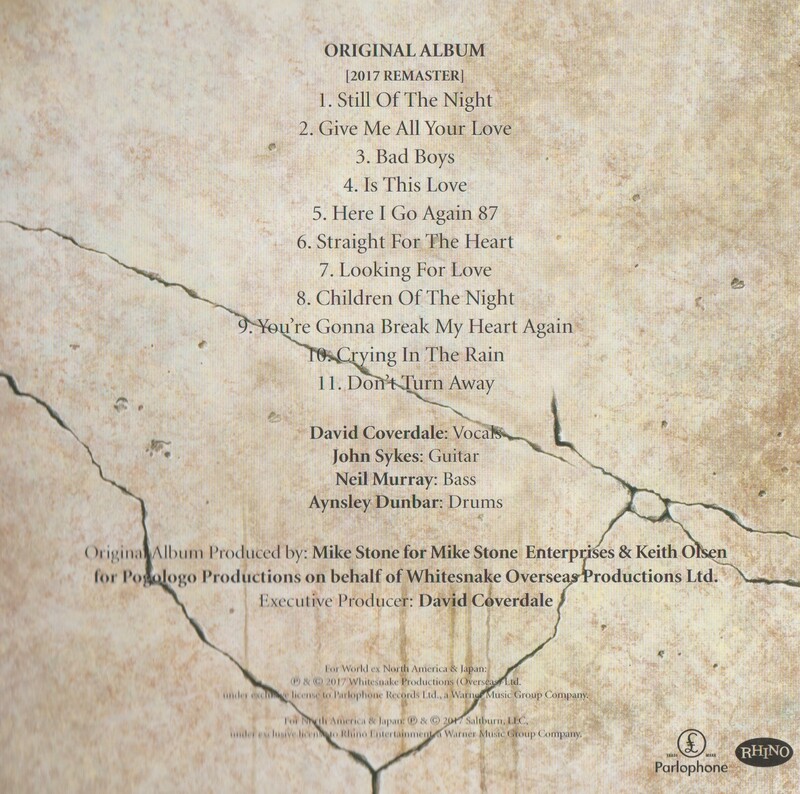 The four songs are “Emerald”, “Killer on the Loose”, “The Boys are Back in Town”, and “Hollywood (Down on Your Luck)”. These are great tracks. It also has a gatefold sleeve with lyrics inside. It’s a very nice package. I’ve heard that 2013 will see the release of more Lizzy deluxe editions, including Thunder and Lightning. If that’s the case I will pre-order it as soon as I hear about it. 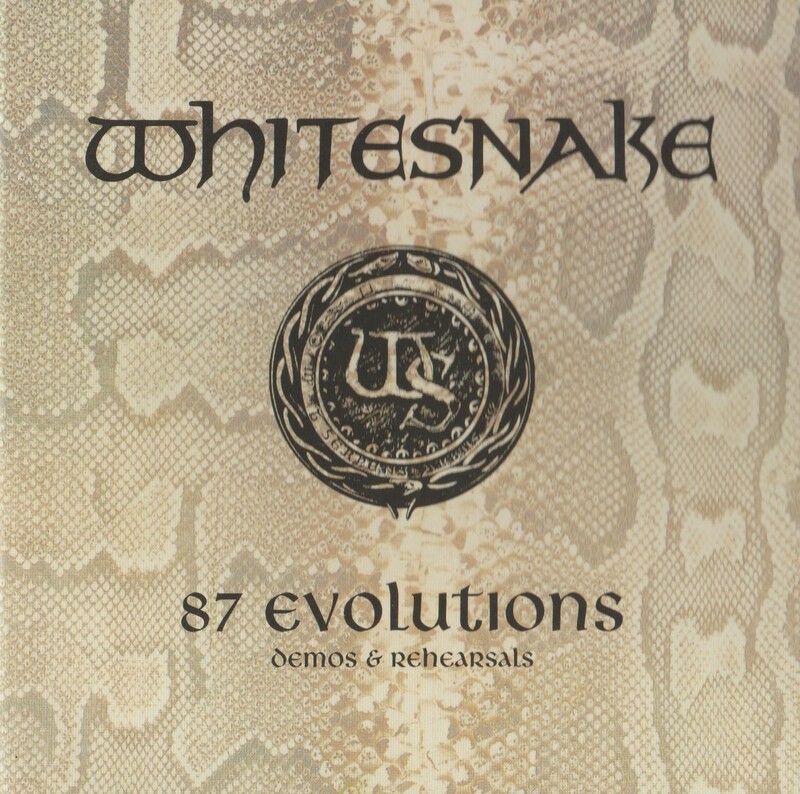 There are still several B-sides from this period that are not currently available, such as “Angel of Death”, “Still in Love With You”, and “Don’t Believe a Word” live, and a remix of “The Sun Goes Down”. I don’t have these tracks, but it sure would be nice to get everything on one deluxe CD package, wouldn’t it? You guys paying attention, Universal? 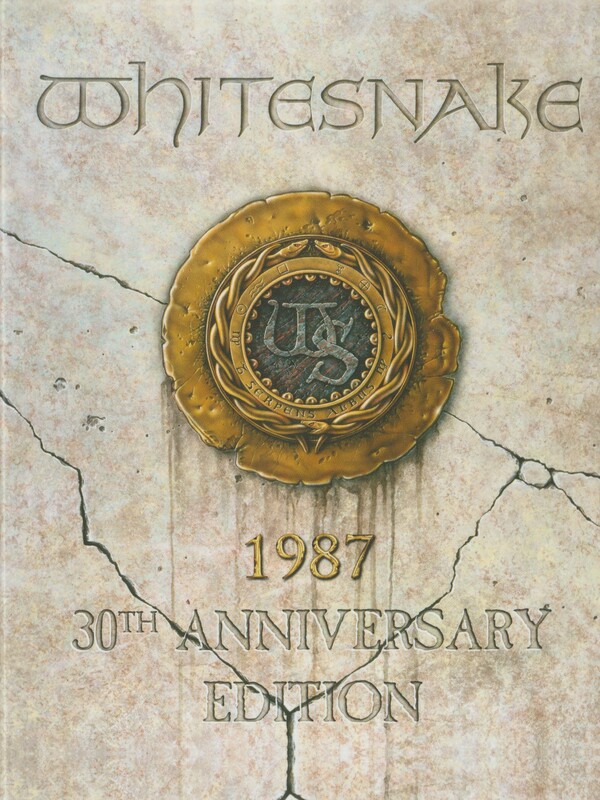 Considering that this band has housed such monster players as Steve Vai and John Sykes among many others, I take great risk with my opening statement, but here goes: I think Forevermore, the newest album by Whitesnake, is the most guitar-heavy of their entire career. Indeed, on first listen, one is blown away by the extremely well recorded antics of Reb Beach and Doug Aldrich. These guys can wail. And wail they do, the opener “Steal Your Heart Away” (not to be confused with “Steal Away” from Snakebite) just roars with bluesy chords, fast fretwork, and slippery slides. The guitars are greasy! And that’s just the opening track. 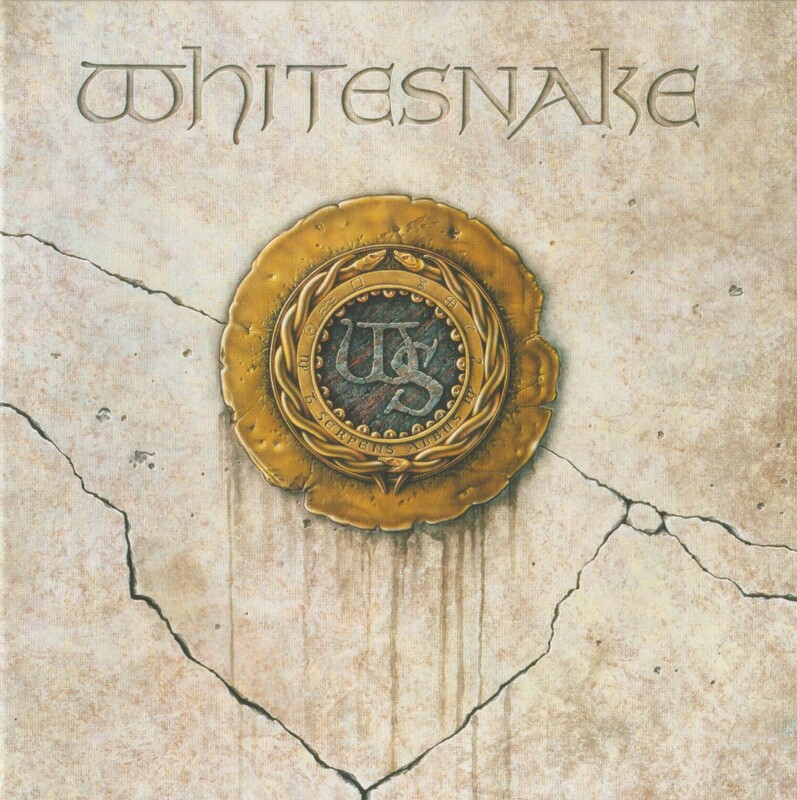 You can definitely hear an urge from Coverdale and Co. to keep everything loosely based on the origins of Whitesnake. You get a lot of bluesy rock, a lot of soul singing from one of the best there is, and some serious groove. On the whole, this album sounds like a growth from the last album, the solid but safe Good To Be Bad. Good To Be Bad was a decent album, but very “safe”. 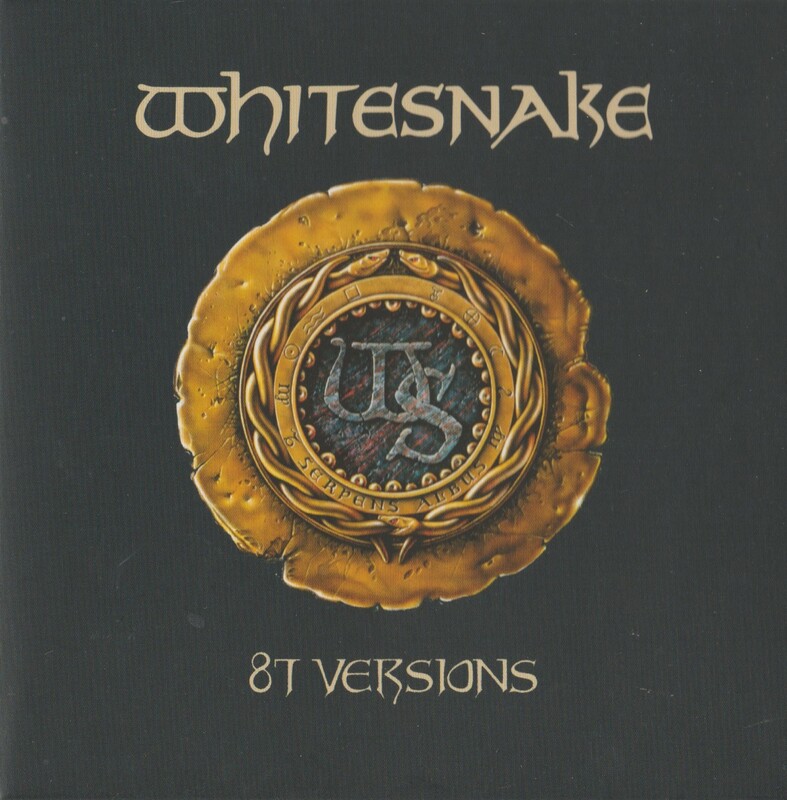 It did not stray much if at all from the classic Whitesnake 1987 sound, complete with guitar solos from the John Sykes School of Axe Wizardry. Now Whitesnake are stretching out more, and dropping a lot of the Sykes-isms. If the last album was a debut album of sorts, this one definitely sounds like the more confident second album. David is singing great. 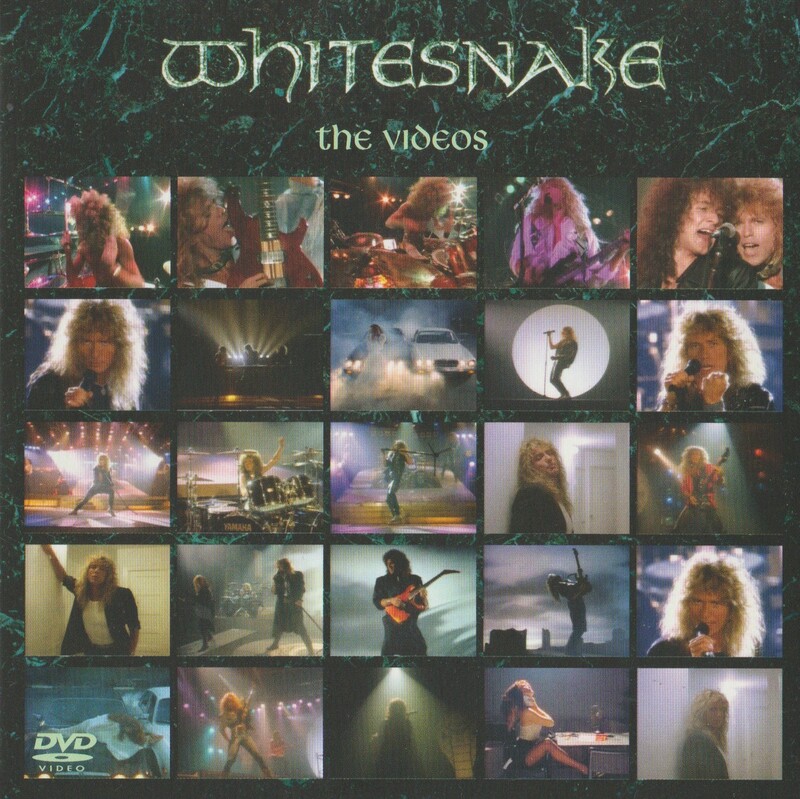 His voice is as marvelously rich as it was on the Coverdale-Page album back in 1993. 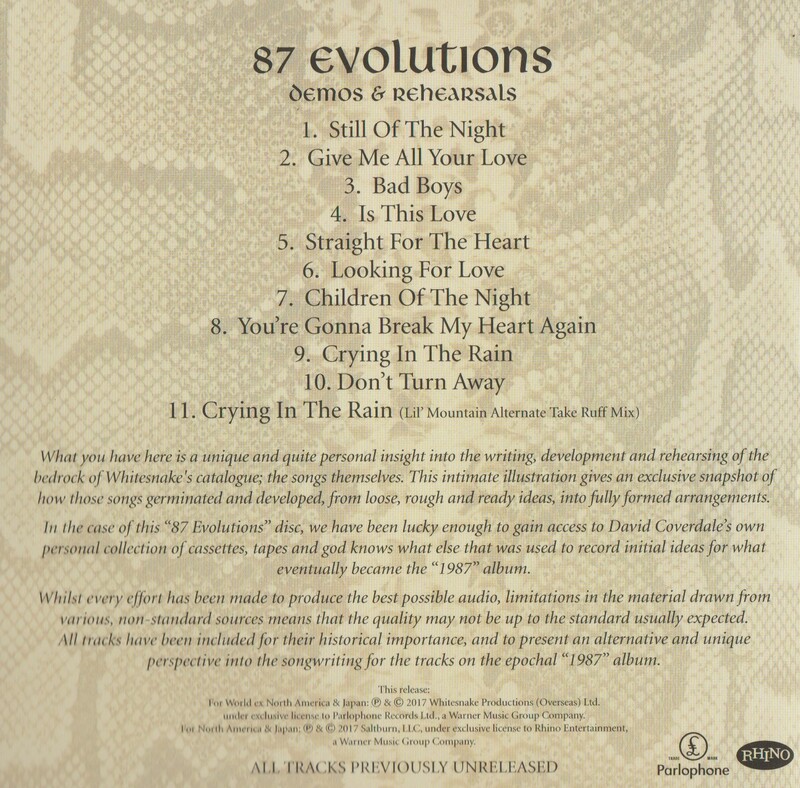 And speaking of Coverdale-Page, some of these songs definitely bring that great album to mind. It is what it is, and musically this is just a freakin’ great album. My current fave track is “All Out Of Luck” which sports this nifty space age blues metal riff. You will find your own favourites too. Fans of both 70’s and 80’s ‘Snake should find something to enjoy here. There’s a bonus DVD: A music video, some making-ofs, and a track by track commentary by DC himself. There are bonus tracks on my “deluxe edition”, all remixes and alternate versions. Just a nice bonus, not essential for the enjoyment of this album. The “Evil Drums” mix of “My Evil Ways” is a little crazy. Of note, Japan also got an exclusive bonus of their own, a “Swamp Mix” of “Whipping Boy Blues”. Like our bonus tracks, it’s just a bonus, not essential to the flavour of the album. Track it down if you’re a collector. I’ve heard it, it’s cool.